Are You Drinking Enough Water? 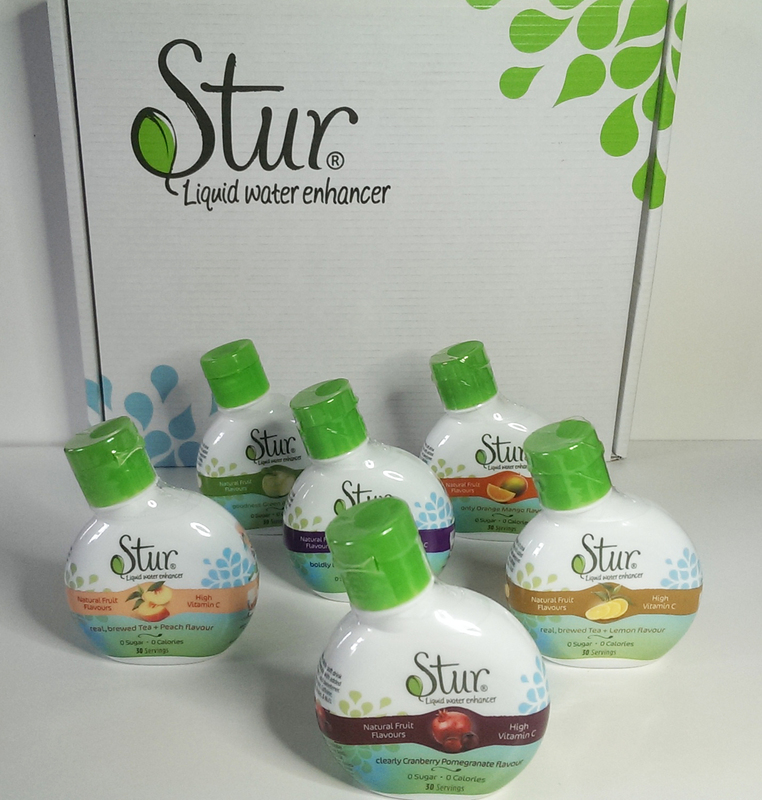 Stur Review - Reclusive Fox ""
Water is obviously essential for our health, yet not everyone is able to drink enough of it. I am one of these people. I happen to hate the taste of water. Tap water tastes so gross to me, I can’t stand it and won’t drink it at all. I do find that bottled water isn’t quite as disgusting but I still can’t handle drinking more than a couple of mouthfuls. This is a bit of a problem As a result of my taste buds I’ve never been able to drink the recommended amount of water and that’s why I was happy when I was offered the Stur review opportunity. 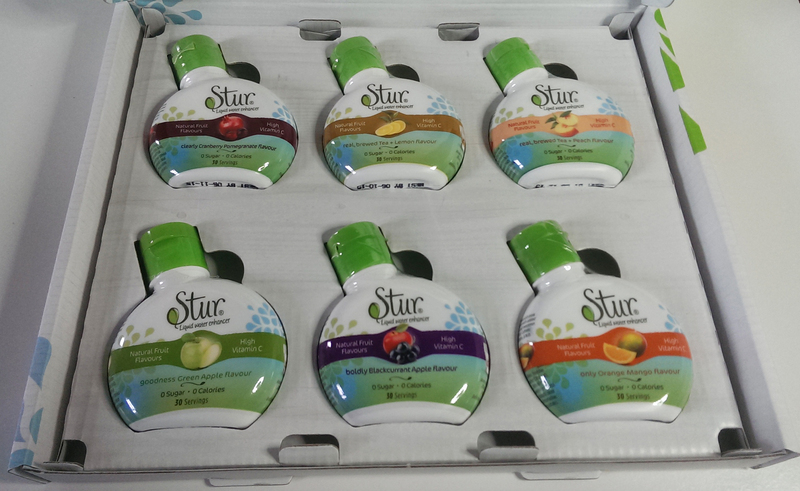 For the last two weeks I’ve been drinking Stur daily and I want to tell you a bit about it. First off, this isn’t just a different brand of squash. I do drink squash but I can only take so much. I find it far too sweet and I’m not keen on all the rubbish that they put in it. Stur is completely different. It has zero calories, zero sugar and the flavours come from real extracts and they’re not synthetic. The other benefit is that the fact that the sweetness comes from the planet’s natural sweetener, Setvia leaf extract. There’s nothing inside Stur that is bad for you, plus the flavour is extremely subtle, refreshing and they simply take the edge off that horrible water taste that I hate. I tried all six flavours and obviously there were a few that I didn’t like as much and some that I couldn’t get enough of. The winners, which are now empty after two weeks, are the Green Apple and the Blackcurrant Apple. My next favourite is the Cranberry and Pomegranate and the ones I’m not so keen on are the Orange Mango, Lemon Tea and Peach Tea. They’re still drinkable and I know I’m going to get through them but they simply aren’t my first choices. One of the major pluses for me was the size of the bottles. They’re handbag friendly and this means you can easily take them out with you. Ideal for when you’re heading to work, on a walk or visiting friends. You can take them with you and add a quick squirt to bottled water without any fuss or mess. 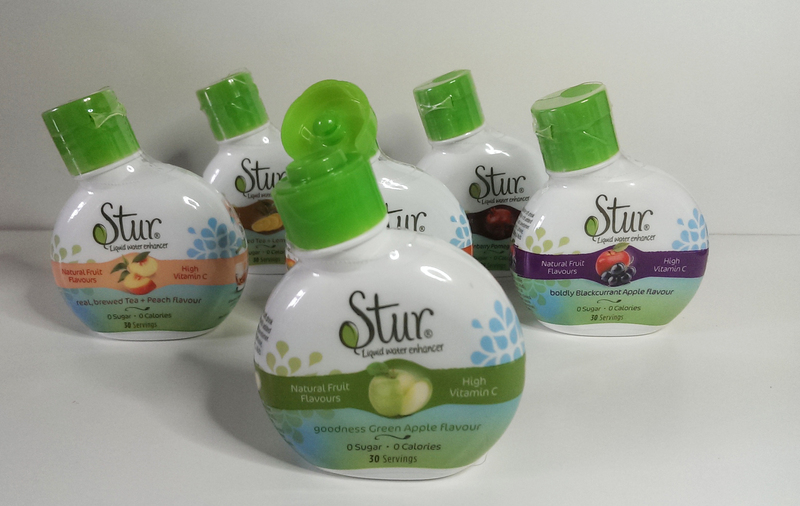 When you buy Stur from the website you do have to buy six at a time at the cost of £19.98. This might seem expensive but you’re getting 100% of your daily requirement for Vitamin C and no calories or artificial colours or flavourings. The good news is you’re able to pick the flavours you want rather than having to settle for some of the flavours you might not be so keen on. I’ve been drinking Stur for a fortnight like I said and I’ve easily been drinking eight, 8oz glasses per day. I’m not the only one in the house trying them out, G and Elle have too. In that time we’ve managed to empty 2 bottles and 1 is almost empty now. We have 2 pretty full ones and 1 that’s about three-quarters full. I’m telling you this to give you an idea of how long the 6 bottles will last a family of three. One bottle contains 30 glasses, but it will depend on how much you squirt in and how weak or strong you prefer the flavour. Would I recommend Stur? Yes. Use it to create a pleasant glass of water if you don’t like the taste of natural water. G actually guzzles water readily but he’s also been enjoying the new drinks too (and he hates squash so there is a major difference between the two that goes beyond ingredients). The downside as far as I can see is the cost, but for £19.98 you’re getting 180 drinks on average and all the benefits. If you want to try it for yourself sign up for the Stur newsletter and a free sample (correct at the time of publishing). I was sent Stur to review but my opinions are my own. great post! I’ve never heard of this brand before but the Packaging looks amazing! really appealing lol it makes me want to try it! thanks for introducing this brand! Drinking enough water is so important and it really helped me with my weight loss too. Oh wow! These look amazing. I try to drink 2 litres a day but its hard to maintain and quite frankly it can get a bit boring! The price is quite steep though….. These look fab! Think I’ll have to look into them as an alternative to my blackcurrant! I have never heard of this product…but always looking for new ways to enjoy water…I am bad at being sure i drink enough.